Official Website of the North Alabama SolidWorks Users Group! The SOLIDWORKS User Group Network (SWUGN) will be holding a SWUGN Technical Summit on Thursday, March 22, 2018, in Nashville, TN. This is a can’t miss event for any SOLIDWORKS User in North Alabama! This one-day training and networking event is hosted by the SOLIDWORKS User Group Network and features technical presentations by SOLIDWORKS Program Managers and local SOLIDWORKS experts. Two technical tracks include sessions on general SOLIDWORKS functionality and specialty sessions on such topics as Sheet Metal, Weldments, Surfacing, SOLIDWORKS PDM, and Simulation. The cost is only $40.00 and includes entrance to all sessions and two meals (breakfast and lunch). The event is being held at the Embassy Suites – Nashville South in Franklin, TN. CLICK HERE TO GO TO THE SWUGN PAGE TO REGISTER! Don’t miss out on this chance to experience an event similar to SOLIDWORKS World, but much closer to home! The North Alabama SOLIDWORKS Users Group (NASWUG) is proud to announce our May 2017 NASWUG meeting. The meeting will be held Tuesday, May 30, 2017 from 5:00pm to 7:30pm, at Dynetics Solutions Complex. Please join us as Michael Burks from MLC CAD Systems will demonstrate SOLIDWORKS Routing. Dinner will be provided and door prizes will be given away at the conclusion of the event. This month’s meeting is sponsored by SOLIDWORKS, Dynetics, and The Rapid Group. Don’t miss your opportunity to network with fellow SOLIDWORKS users, gain valuable information, and eat free food! The North Alabama SolidWorks Users Group (NASWUG) is proud to announce our September 2013 NASWUG-RSA meeting. The meeting will be held Thursday July 26, 2013 from 11:00am to 1:00pm at the Redstone Bowling Lanes on the grounds of the Redstone Arsenal. This is located just to the right when coming in the Patton Road Gate. Click HERE for a Google Map of the Meeting Location. Please join us for a presentation on model-based definition and tolerance analysis. We will look at how DimXpert can be used for model-based definition and to prepare part models for conversion to drawings or for use in TolAnalyst™ tolerance studies. We will then look at how TolAnalyst™ can be used to automatically check the effects of tolerances on parts and assemblies to ensure consistent fit of components and to verify tolerancing schemes before a product goes into production. Lunch will be provided and door prizes will be given away at the conclusion of the event. This month’s meeting is sponsored by SolidWorks and The Rapid Group. Please remember that you MUST provide your own credentials to access Redstone Arsenal. If you have any questions regarding this, please let us know. RSVP for the event today by following the link below to sign up on our online registration form. Please join us for a sneak peek of a few presentations from some of our user group members that will be presented at the upcoming SolidWorks User Group Network (SWUGN) Technical Summit* in Nashville, TN, on September 10th. We will also have a Question and Answer Session that is open to any SolidWorks or solid modeling topic! This month’s meeting is sponsored by SolidWorks, Dynetics and The Rapid Group. The North Alabama SolidWorks Users Group (NASWUG) is proud to announce our July 2013 NASWUG-RSA meeting. The meeting will be held Tuesday July 23, 2013 from 11:00am to 1:00pm at the Redstone Bowling Lanes on the grounds of the Redstone Arsenal. This is located just to the right when coming in the Patton Road Gate. Click HERE for a Google Map of the Meeting Location. Please join us for a presentation by Dan Callahan, Client Executive with SolidWorks Corporation, Federal Division. Dan will speak about current CAD technology and how it relates to engineering design and modeling in a Defense environment, as well as some available technologies to help engineers and designers work more efficiently in a Defense organization. We will also have a demonstration of SolidWorks Enterprise PDM. The North Alabama SolidWorks Users Group (NASWUG) would like to announce our November 2010 NASWUG-RSA meeting. The meeting will be held on Tuesday April 26, 2011 from 11:00am to 1:00pm on the grounds of the Redstone Arsenal. The meeting will be held at the Redstone Bowling Lanes. This is located just to the right when coming in the Patton Road Gate. Click HERE for a Google Map of the Meeting Location. Join is for a presentation on SolidWorks Tables! Lunch will be provided along with Door Prizes to be given away at the end of the meeting. Please remember that you MUST provide your own credentials to access the Redstone Arsenal. If you have any questions regarding this, please let us know. Don’t miss your opportunity to network with fellow SolidWorks users, gain valuable information, get free food, and pick up some cool prizes! I just posted the March 2011 Meeting Presentation and posted a link to the SolidWorks Proceedings Site on the homepage. Our April 2011 NASWUG-RSA Meeting Announcement will go out to everyone on the e-mail list on Monday. Link to Google Map of Location. Come join us for a presentation on SolidWorks Simulation! Dana Parrish and Ramesh Lakshmipathy from DS SolidWorks Corporation will be on hand show how SolidWorks Simulation can solve your structural and vibration problems. The meeting is open to all SolidWorks users who have their own pass to get on the grounds of the Arsenal. Buffet lunch and door prizes will be provided. To RSVP, click on the link below and fill the form. Don’t forget to hit “Submit” when you are done! You will receive a confirmation e-mail upon submitting your RSVP. 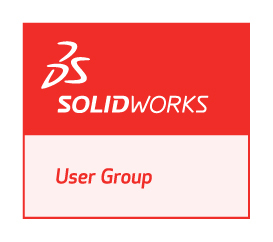 Join us this Thursday for the North Alabama SolidWorks Users Group (NASWUG) July 2010 meeting. The meeting will be held on Thursday July 15, 2010 from 5:00pm to 7:00pm at the Dynetics Corporate Headquarters Building. This month’s meeting will feature a Photoview 360 presentation along with an open floor Question and Answer session. Dinner will be provided along with Door Prizes to be given away at the end of the meeting. We’ve had to shuffle the date for this meeting a few times due to unforeseen circumstances, so my apologies for the much shorter notice on this meeting. Hello fellow SolidWorks users. We had our annual year end meeting on Thursday December 10. The attendance was a little light for a year end meeting with only 26 attending. The meeting was held at the beautiful Dynetics HQ building with Ricky Jordan our president presiding. For those who could not make it you missed out on some great food. We had roast beef, garlic mash potatoes and green beans..hmmmmm…Gotcha, just kidding. We had pizza and coke products provided by Papa Johns. Ricky opened the meeting talking briefly about SolidWorks World and recently released service pack 1 for SolidWorks 2010. He also talked about Presentation Studio and Treehouse 2 in SolidWorks Labs. Then Ricky turned the meeting over to Matt Rece from SoildWorks and Tom Young from Modern Tech. They did a presentation on “What’s New In SolidWorks 2010” Some of the functions they covered were sheet metal, mates, visualization, mouse jesters, weldments, drawings, toolbox, and virtual parts. After the presentation Ricky gave the closing comments, talking about Solidworks education in the local area and asking for volunteers to help in some training classes. Ricky also asked for feedback and suggestions for future meetings. At the end of the meeting we drew for prizes. Lloyd Philpott won the grand prize of a Logitech Nano cordless laser mouse donated by 3D Connection. MLC Cad Systems also donated 3 gifts cards. Thanks to Matt and Tom for outstanding presentations. And just a note to all members. Anyone interested in presenting on a topic should contact Ricky Jordan. We always get outstanding presenters from the SolidWorks community and sometimes don’t realize the wealth of experience within our own group. P.S. Thanks to Jim Clyburn for filling in for me and compiling the above meeting notes. Scan or click the QR code to join our mailing list to get meeting notices and other important information relating to our local user group!